BG Bookeres can offer special rates for more than 3 rooms group booking! Make group booking request now! Sarafovo is a part of Burgas with over 3000 residents. It is founded in the beginning of 19 century as a fishing village and today is developing like an international tourist resort. The beach promenade is long 5 km and has soft golden sands, warm and not deep sea ,cool breeze and other advantages ,which are making Sarafovo the favorite place for relax from May till October. The resort is developing in an international center of tourism business, but not so crowded like others. 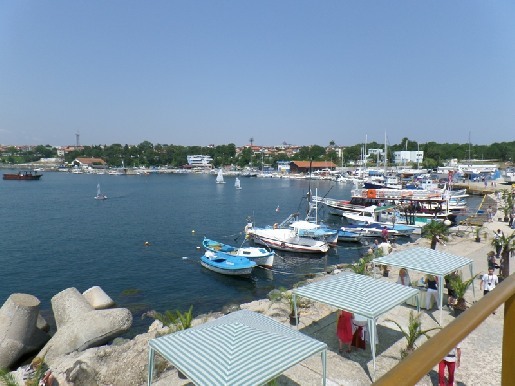 Sarafovo is a good place for vacation especially for families with kids, because of small numbers of the bars and attractions for young people. The resort has tennis courts, basketball, volleyball and football fields, fitness clubs and other activities. Home About us Transfers Terms & Conditions Blog Contact us Rent-a-car Round Trips Privacy F. A. Q. Be immediately informed about special offfers and hotel discrounts in top Bulgarian resorts.